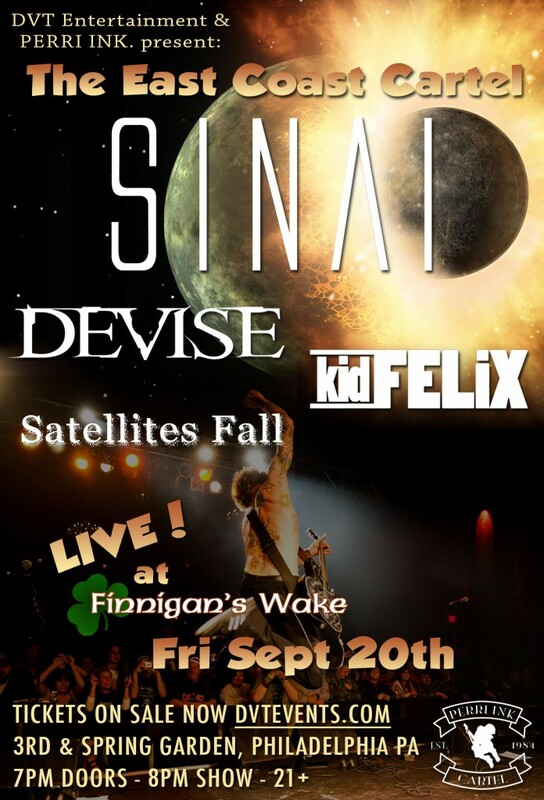 SINAI announce live performance, one night only! Hey I hope you guys have a show in Philly soon while I’m up from school. I’m here till January 16. Hope all is well and happy holidays! You guys are great! I saw Silvertide back when you toured with Collective Soul and it was my first concert. I really hope you continue to write great music. You need to get some more merch in stock. I’m dying to get a shirt! Come play a show out in Indianapolis. That would be great since I can’t make it out to Pennsylvania. Hope to catch y’all in concert in the Houston or Beaumont area. Show and Tell is one of my all time favorite albums (yeah I’m 51 and still call them that) and I love your new Sinai album. Thanks Nick and Walt for getting back together. Keep on Rockin!! Sorry haven’t been on here in awhile.. lost interest during 6 weeks of local shows.. now a mini midwest tour to Michigan is in order.. I need you Labor day weekend , or Sept 20th or?? New venture kicking it off with Live entertainment. email or call me pls 215-595-8723..Jay ..The Best Ever.. I WISH!! Bring a show to Chicago…Im there! So excited for u guys! And I’m off every other thurs starting the 9th so this works out PERFECTLY! ^_^Love u guys! Thanx! Can’t wait to see you! You guys rock! Will you be in Reading any time soon? Where can I pick up a CD? You guys need to have an all ages or 18+ show soon wish i could go to your show at the tla! We’re working on more Lauren, hang in there and thanx for the support!